Evan Williams is hoping Gayebury, who has plenty in hand on official ratings, can bounce back from his Cheltenham disappointment by landing the Listed EBF Stallions Gold Castle “National Hunt” Novices’ Hurdle, the highlight on day one of the Perth festival. The son of Overbury took the step up in trip to 2m7½f in his stride when slamming Jury Duty by 13 lengths on his pre-Festival run, but he could finish only 18th of 24 in the Pertemps Network Final over an extra half a furlong. 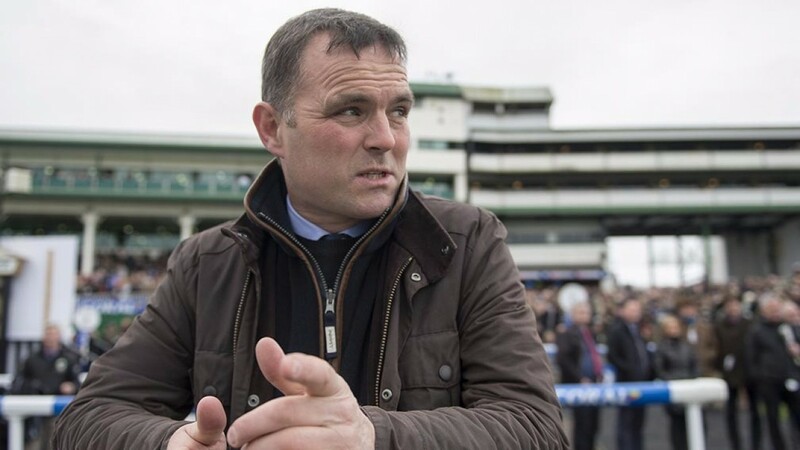 “I don’t know what happened at Cheltenham,” Williams said. “Things didn’t work out for him there. One of his four rivals, the Nicky Richards-trained Progress Drive who has won three of his five races this campaign, is fitted with cheekpieces for the first time. Philip Hobbs, winner of this race twice in the last three years via Onenightinvienna (2015) and Sausalito Sunrise (2014), sends Robbin’Hannon on the long trip from Somerset. Smooth winner of a Warwick maiden hurdle on his debut for Hobbs last month, the six-year-old is clearly open to a deal of improvement. The £15,000 Phil Nelson Handicap Chase has attracted an eight-runner field, including the Nicky Henderson-trained Cocktails At Dawn. Like Scottish Grand National winner Vicente, the Lambourn raider was a first-fence casualty in the Grand National at Aintree, and Henderson will be hoping his talented nine-year-old can bounce back in similar fashion. Richards is two-handed via Cultram Abbey, the mount of Ryan Day, and Bernardelli, who will be partnered by Craig Nichol. Cultram Abbey is another who fell last time out, and in his case he seemed sure to win when departing at Carlisle’s final fence when holding an eight-length lead. On the back of his historic Grand National win, the Scottish-trained One For Arthur will take a lap of honour in the parade ring at 1.25pm in aid of the Injured Jockeys Fund. Perth sponsor Edinburgh Gin will also unveil its bespoke One For Arthur Gin and Fizz bar at the festival.